Like most towns in Brooklyn, New York, Red Hook also has its fair share of pest infestation problems. These range from rats to roaches to bed bugs. Each brings its own set of problems. Some can spread illness while others can cause property damage. But almost all of them make their way into your home for food or shelter. New York City is infamous for its rat population. It’s one that’s massive and constantly on the rise. With no end in sight, it’s crucial to be able to get them out of your home if they make their way in. Rodents, in general, come into a house looking for either food or shelter. It’s important not to leave food particles lying around that might attract them. They will also find a warm place in your house to make a nest where they will drop a litter of babies. This can become a major problem because they reproduce at an alarming rate which is why there is just so many of them around the city. If just a couple of rats get in, you can have a full-on infestation on your hands before you even realize it. 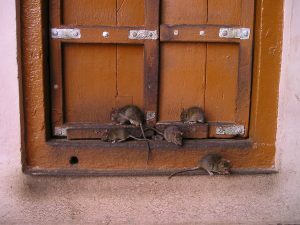 Call on a qualified rat exterminator to get them out, and keep them out for good. Our exterminators will not only get rid of the rats you have now, but they will implement preventative measures to help keep more them out. We will locate and seal off any potential entry points they may use to get in your home. Rats can not only contaminate your food but also spread several diseases as well. Stinging insects range from harmless honey bees to dangerous hornets. And unless you are an expert in identifying bees, never try to remove a beehive on your own. Of course, we all know that bee stings are painful, and can cause swelling. But if you are allergic, then they can be down-right life threatening or even fatal in some. Unfortunately, many people don’t even know if they are allergic until they get stung and it’s too late. Removing a beehive requires expert knowledge and skill. Also, a bee removal expert will have the proper tools and safety equipment to do so. Bees play a crucial role in the environment and for agriculture purposes. They should never be exterminated, but instead relocated where they can continue their work, but not pose any threat to people. Once again, a bee removal expert will know how to do this, and where to relocate them. No one wants to have them in their home. But it is important to understand how you can get them. Unfortunately for many, it’s unbelievably easy. Bed bugs simply catch a ride on your clothes, and you then unknowingly bring them into your house. And you can pick them for almost anywhere. 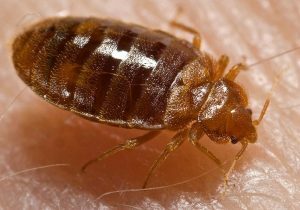 It could be a hotel room, a gym locker, a movie theater seat or even from someone else’s house who already has bed bugs. One sign to be aware of is if you wake up in the morning with red welts on your body that are itchy. These are the result of bed bug bites after they have fed on your blood during the night. These blood meals are what allow them to reproduce. So, it’s absolutely vital that you call a professional bed bug exterminator at the first sign of these bites. The longer you allow bed bugs to feed the quicker they will be able to reproduce, and spread throughout your home. In turn, this will make them harder to get rid of as it’s easier to exterminate them when they’re contained to one area. Some pests you can avoid by keeping a clean house and entry points into your home sealed. However, even those with the best intentions still get an infestation of some kind. Ants are one of those pests that can still make their way into even the cleanest of homes, especially in the summer. Three primary factors attract ants into a home: food, water, and shelter. All three of these are in abundance in your home. Perhaps the biggest obstacle with an ant infestation is the enormous amount of them. A single ant colony can contain thousands of them. Many people tend to try store-bought ant killer products or DIY methods. But the truth is they simply do not work in the long run. 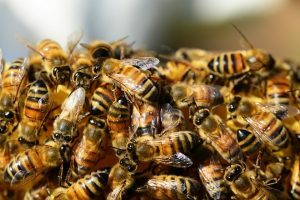 At best you may kill a large amount of them inside your home, but it eventually won’t matter if there are thousands more in the colony ready to take their place. 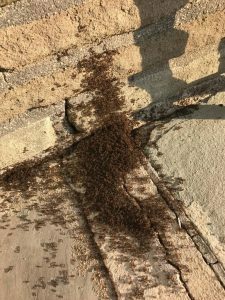 Rely on a professional ant control expert who will be able to eliminate them at the source, and give you long-term relief. When New Yorkers think of pests, cockroaches may be the first one that comes to mind. Probably because they are in every part of the city. Huge populations of people mean more food and trash which naturally attracts more roaches. Another contributor that attracts them is moisture and humidity. The climate in New York makes it hospitable for roaches. Your home can also draw them in if you have a lot of moisture and dampness from leaky faucets or pipes. These pests are nocturnal, so it’s rare to see one during the day. You’ll notice when you do see them, at night after you turn the lights on, they scurry away. This means you probably have a lot more in your place that are hiding somewhere out of sight. Cockroaches don’t usually infest in pairs, but rather in large numbers. 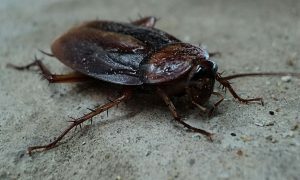 It’s important to consult a cockroach control expert to conduct a full inspection to know for sure whether you have an infestation, and get rid of them if you do. Having cockroaches living around you over some time can cause you numerous health problems and illnesses. Whatever pest problem you are dealing with, rely on the pest control services of Bugged Out Pest Management. Our trained professionals will work with you to devise a customized plan to tackle your pest issues. We will address any concerns or budget issues that you may have. Contact us for a consultation.